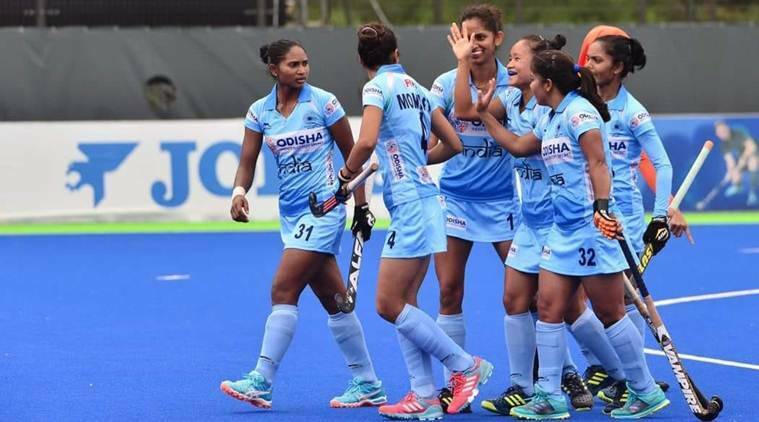 Lalremsiami's equaliser earned defending champions India 1-1 draw against Korea in the last round robin match at the fifth Asian Champions Trophy women's hockey tournament in Donghae City on Saturday. Lalremsiami’s equaliser earned defending champions India 1-1 draw against Korea. Young forward Lalremsiami’s equaliser earned defending champions India 1-1 draw against Korea in the last round robin match at the fifth Asian Champions Trophy women’s hockey tournament in Donghae City on Saturday. With this draw, the Indian team led by defender Sunita Lakra go into the final on Sunday as the table toppers. They remain unbeaten in the tournament, having won against Japan (4-1), China (3-1) and Malaysia (3-2). Despite Korea’s attacking game from the start of the match, India managed to win the first penalty corner of the match in the fourth minute. But drag-flicker Gurjit Kaur’s flick was padded away by the Korean goalkeeper. Though India made forays into the striking circle, breaking Korea’s defence was an uphill task. An ambitious variation by Korea however didn’t help score the goal as it was off the mark. Almost immediately, Lalremsiami helped India win a penalty corner. While Gurjit’s flick rebounded off goalkeeper pads, Lalremsiami was quick to pick up the ball and make a diving effort to flick it into the goal post equalising the score to 1-1. The teams will play each other again in the summit clash on Sunday.